I’m still not sure what a traditional Colombian mazamorra or “mazamorra antioqueña” actually is, whether it’s a soup or a drink. Some people will say it’s a soup because you serve it in a bowl or soup plate and then eat with with a spoon, but others will say it’s a drink because you add milk to it and drink it at the end. Whatever it is, the one thing I am sure of is that it’s very traditional and very popular in Colombia, especially in the department of Antioquia. 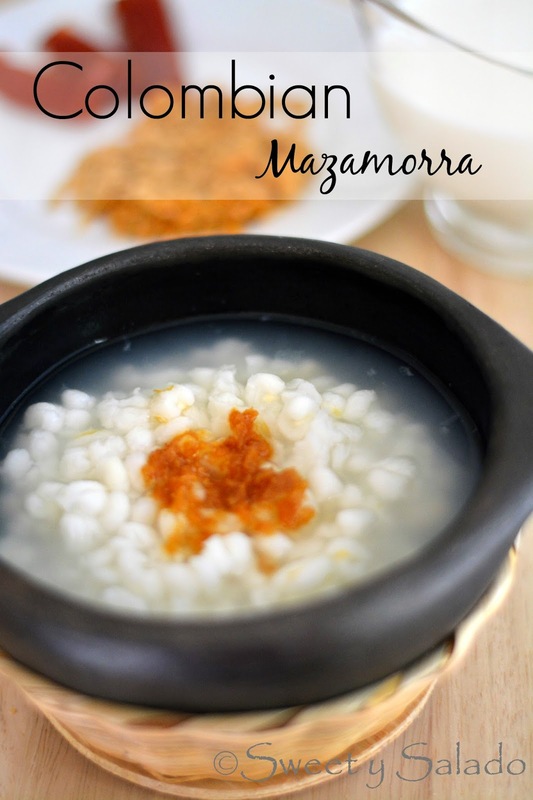 There are several mazamorra recipes in Latin America and from what I’ve seen there are two versions in Colombia, this one being one of them. It’s very simple to make and it’s not really a recipe but several people have asked me to make it and put it on the blog since they love it so much. My dad loved this as well, he could eat a big bowl of it with tons of milk with a side of guava paste and he was a happy man. But then again, he was a traditional “paisa” who loved his hominy corn or anything made with it. 1. Place the hominy in a large bowl and take out any dirt or bad corn kernel you may find. Then, rinse the hominy with water and drain it. Finally, cover it with enough water and let it soak overnight at room temperature. 2. The next day, drain the hominy and put it in a cooking pot. The size of the pot depends on how much corn you are cooking. Add enough water so that it covers the hominy by about 1 inch (2.5 cm). Then, cover the pot and bring the water to a boil on high heat. Reduce the heat to medium low and cook the hominy for about 2 hours or until tender. Check the water level every 20 minutes and add more if you think it’s necessary. 3. 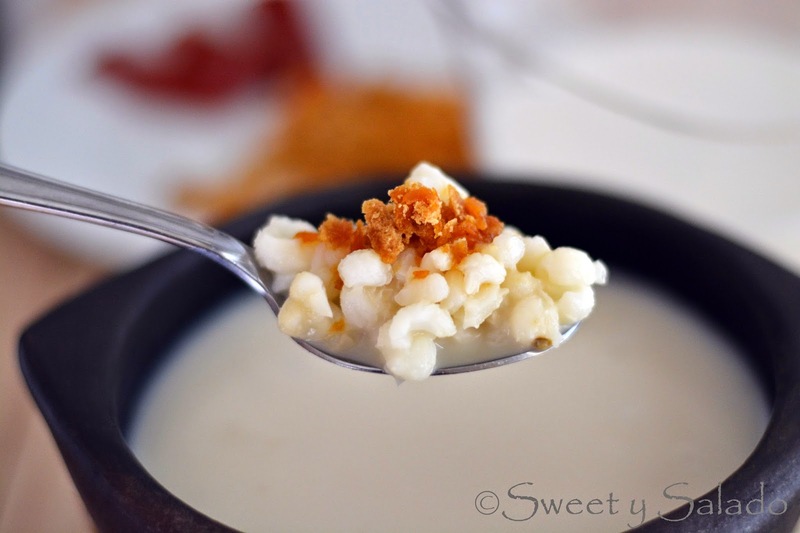 Once the hominy is cooked, serve immediately in a bowl or soup plate and serve it with milk, grated panela and guava paste on the side. That is the weirdest mazamorra I've ever seen.